Janet Yellen feels good about America's economy but sees risks rising overseas. Yellen, the Federal Reserve chair, spoke optimistically on Tuesday about the U.S. economy, particularly the strong gains in the job market and resilient consumer spending. But when she turned to the global economy, it got gloomy. "Global developments pose ongoing risks," Yellen said at the Economic Club of New York. Top of her worry list: China and oil. Yellen said uncertainty over China's economic slowdown and the direction of its currency, the yuan, contributed to the market meltdown at the beginning of the year when the Dow lost about 2,000 points. Stocks rallied as Yellen spoke with the S&P 500 turning positive for the year and the Dow closing at its highest level for 2016. 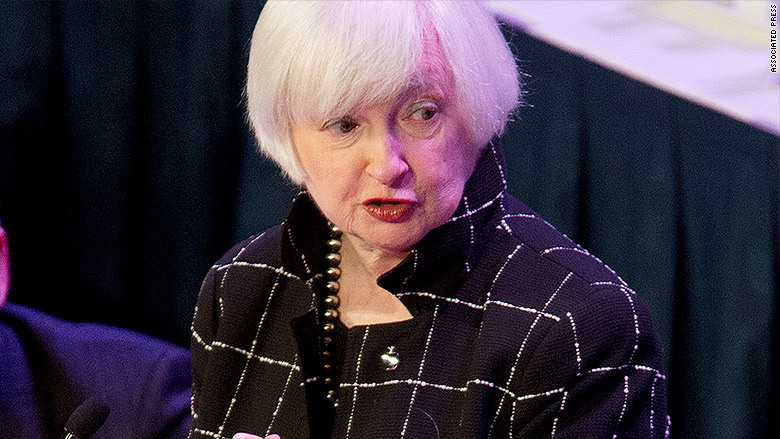 Her remarks made an interest rate hike at the Fed's next meeting in April seem unlikely. Yellen worries that another downturn in oil prices could lead to spending cuts by oil-driven countries and job losses at energy firms. Such responses "could have adverse spillover effects to the rest of the global economy," Yellen said. 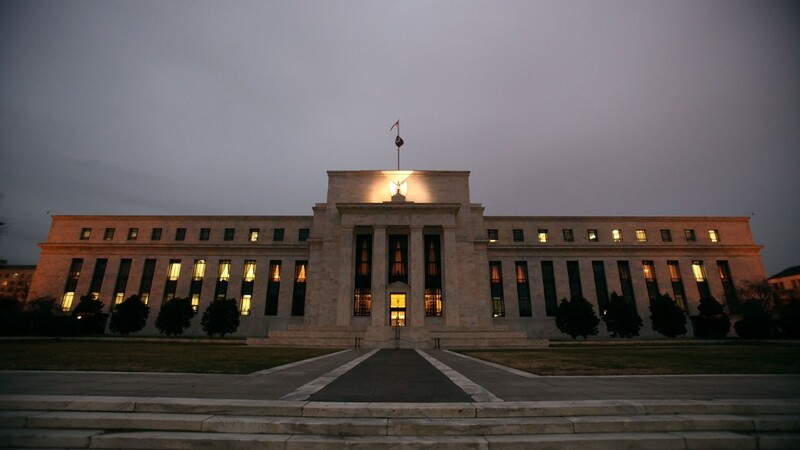 One of the fears is that if the economy falters, the Fed won't be able to do much. Its usual plan to lower interest rates won't work given how low rates are right now. Yellen would like to see Congress step up to boost economic growth. "It would certainly be helpful to see fiscal policy play a larger role," she said Tuesday. Only two weeks ago, the Fed cut its forecast for economic growth and held off on raising interest rates any more. Immediately following the meeting, some Fed officials were already feeling more bullish about raising rates. St. Louis Fed President James Bullard said last week that the Fed "could probably make a case for moving in April" if jobs and inflation stay on track. Yellen, however, said the Fed intends to "proceed cautiously." Heading into 2016, the Fed was predicting four rate hikes this year. Now it only anticipates two. The Fed increased rates in December for the first time in nearly a decade. America's employment has met the Fed's goal, but inflation has not. Inflation is lagging behind largely because of cheap gas prices and lackluster wage growth. Oil prices have rallied in recent weeks from a low below $27 a barrel in early February to around $40 now. If that trend continues, inflation could pick up. The latest report on inflation came out Monday and showed a slight decline in February. However, when you take out volatile categories like food and energy, core inflation rose 1.7% in February, matching the gain from January. Monday's inflation news doesn't help or hurt the case for a rate hike in April, which is still considered unlikely. However, the odds of an April rate increase could change on Friday when the Labor Department announces the March jobs report. If the U.S. shows healthy signs of job and wage growth, that could convince the Fed to increase rates at its meeting as soon as April. But Yellen's concerns on the global economy might continue to hold the Fed back from raising rates anytime soon.